Born and raised in Damascus, Syria, Dr. Mousab Tabbaa has over 35 years of experience in internal medicine and gastroenterology. He received his medical degree from the University of Damascus College of Medicine, graduating in the top 5 percent of his class. After serving as a clinical instructor at the Tichrine Medical Center in Damascus, Dr. Tabbaa moved to the US in 1982 for an externship at Jackson Memorial Hospital in Miami, Florida. He then came to Ohio and completed his internship and residency in internal medicine, as well as his fellowship in gastroenterology, at Cleveland Metropolitan General Hospital. Dr. Tabbaa has since remained in the Cleveland area. After completing his fellowship, Dr. Tabbaa co-founded North Shore Gastroenterology in 1989 along with Dr. Peter Greenwalt, who retired in 2016. 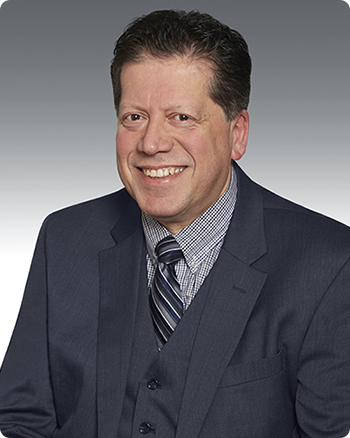 In addition to serving as president of North Shore Gastroenterology and medical director of North Shore Endoscopy Center, Dr. Tabbaa is a founding trustee of the Cleveland Clinic Health Systems Physician Organization, now Community Physician Partnership (CPP); chairman of the finance committee for CPP; and chief of gastroenterology at Lakewood Hospital. He has also chaired the Board of Trustees of Lakewood Hospital and been a member of the Board of Trustees of the Cleveland Clinic Foundation and Cleveland Clinic Western Region, not to mention served on various health system and hospital committees. Board certified in internal medicine and gastroenterology, Dr. Tabbaa is a member of numerous medical societies including the American College of Gastroenterology, American Liver Foundation, American College of Physicians, American Gastroenterology Association, American Society of Gastrointestinal Endoscopy, Crohn’s and Colitis Foundation, and American Medical Association. Specializing in the management of liver and bile disorders, Dr. Tabbaa’s other interests include pancreatobiliary endoscopy, inflammatory bowel disease (IBD), colorectal cancer screening and detection, and Barrett’s esophagus. Widely published, he has participated in numerous research studies and presentations pertaining to all aspects of gastroenterology.